3-dimensional printing technology is expected to be one of the future technology trends. 3D printer is printing equipment in the form of so-called three-dimensional or stereolithography-- a three-dimensional object made by placing a layer of material in a row. Since the technology crowded used today, the world community began to experiment with making things. Now the 3-D printing machine can also make our childhood dream come true. For example, to building a house or other large buildings using the machine. 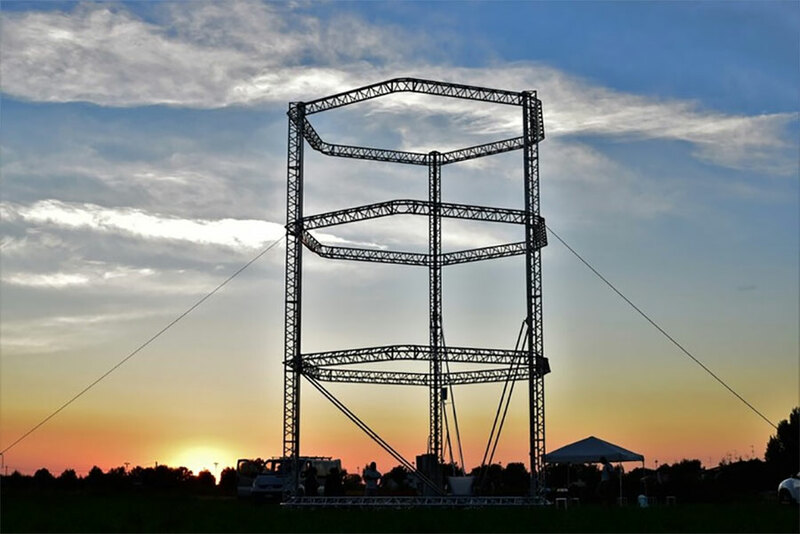 An Italian engineering company named the World's Advanced Saving Project (WASP), recently announced their 3-D printing machines are the largest in the world. This design was made for printing houses or other buildings using the organic ingredients. 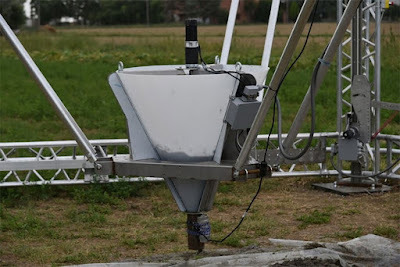 As quoted from Geeky Gadgets, that the machine can be as high as 12 meters using clay as a mold. Through their official website, the company claims as the maker of three-dimensional printing machines in various sizes-- and recently announced it will focus on spreading the good of mankind. In the past year, the company showed off a 3-dimensional printing machines as high as 4.5 meters that can print using mud, clay, or natural fibers. 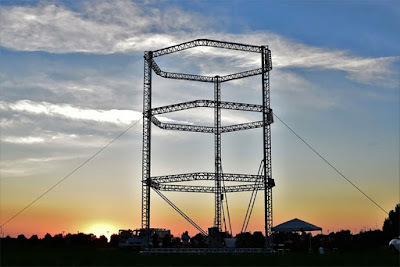 Now, they have created Big Delta-- the 3-dimensional printing machine as high as 12 meters! 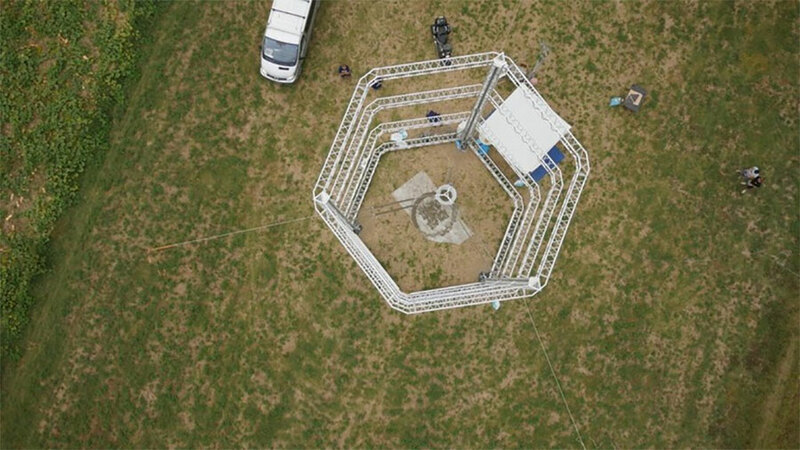 The print engine is backed by a solid metal frame that forms a circle with a diameter of 6 meters. Then the nozzle which will rotate and also functions as a mold release the mixture of raw materials. According to the report, it only needs 10 watts to powered this spray. This print engine can use silt and clay materials which will be accompanied by a mixture of chemicals or cement as reinforcement. The company also is conducting tests on the manufacture of 3-dimensional printed material that can prevent insects creeping on the wall. The easy usage and removable of machine and the materials in general can be found in everywhere-- make this technology can be utilized in the affected areas or developing countries. According to the WASP reports, Iglesias city on the southern coast of the island of Sardinia, has expressed interest to test the Big Delta, and it most likely will be the first residential development which will utilize this giant print engine technology.